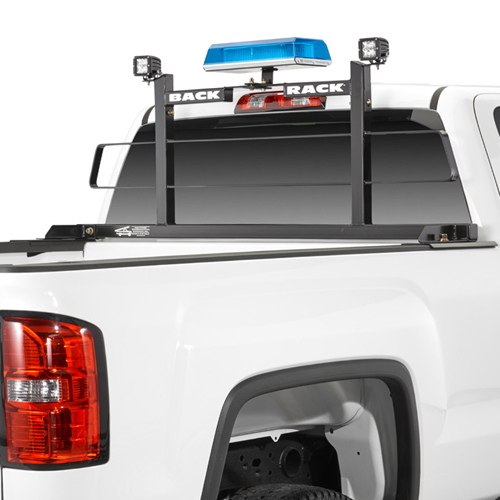 The BackRack Pickup Truck Window and Cab Guard Headache Rack is constructed with black powder coated steel tubing. Every intersecting section is fully welded for maximum strength and corrosion resistance. 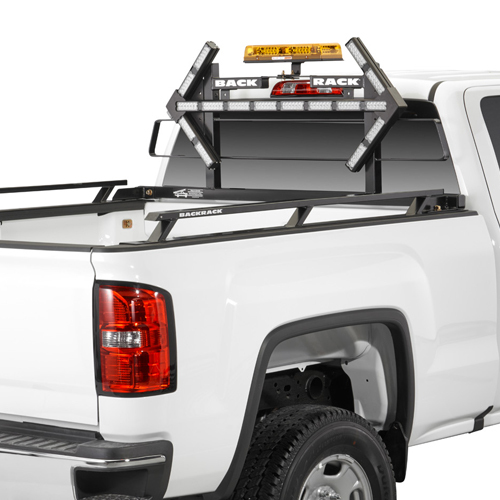 This BackRack model does not include a Toolbox Mounting Kit (see toolbox mounting option below). The BackRack Cab and Window Guard's rugged design provides excellent cab protection against flying objects. 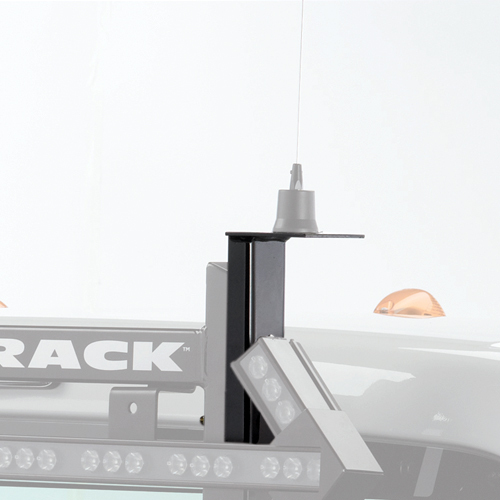 BackRack's sturdy structure supports ladders and other long objects on the top crossbar. 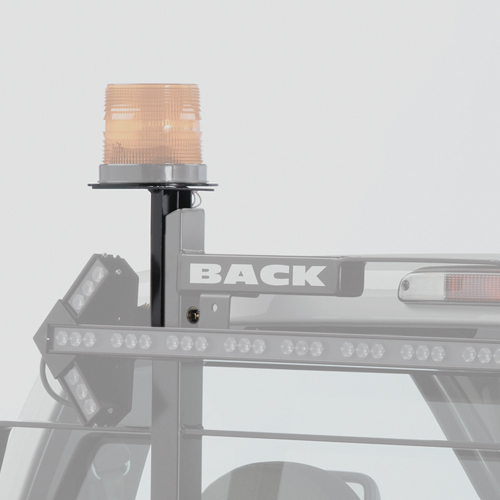 Various warning light and antenna mount brackets easily mount to the BackRack. 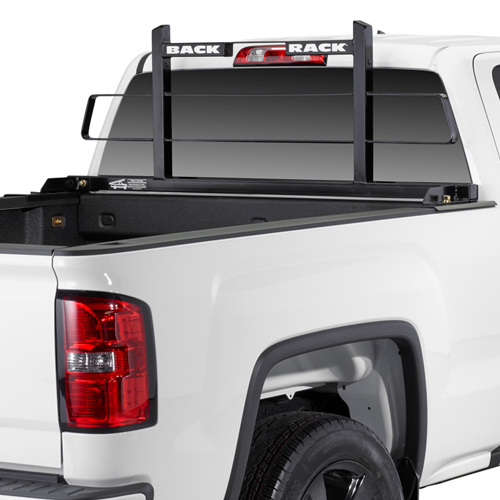 The BackRack Pickup Truck Window and Cab Guard Headache Rack mounts into the stake bed pockets of your full-size pickup truck bed rails and is secured with special bolts - eliminating the need for drilling. 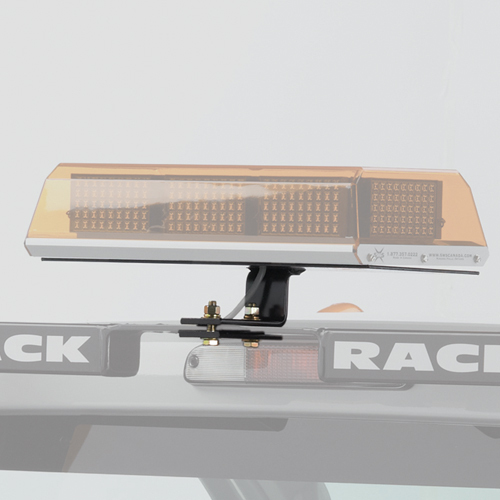 The BackRack Pickup Truck Window and Cab Guard Headache Rack is compatible with over-the-rail bed liners. Trucks without stake bed pockets will require drilling in order to mount the BackRack Cab and Window Guard. The system does not fit GM Stepsides or Ford Flaresides. 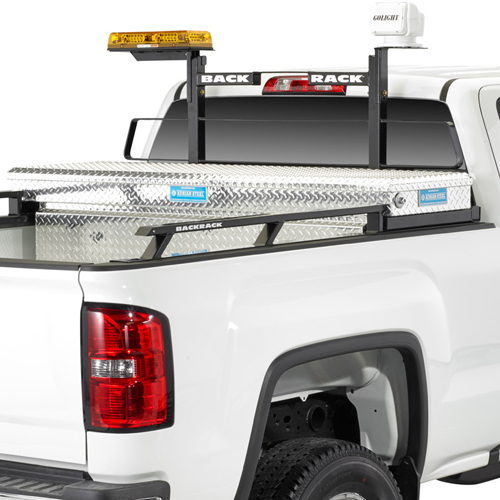 Please check the proper fit for your truck with our easy to use BackRack Fit Guide.